Seeing marvelous things all the time. Delightful. A new venture for me is to write stories about The Inland Empire. 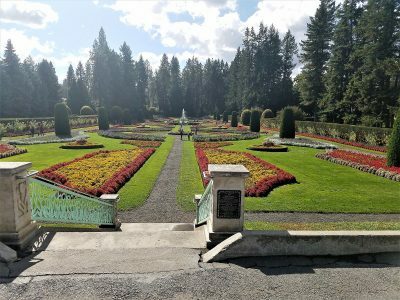 For nearly a century, as the community around Spokane began to grow, the city became the hub of industry and trade. The railroad located a terminal early in the city’s history and shipping became a big business as well as travel. Mining and logging were huge industries and shipped into the city by the river from all directions. The region, stretching from eastern Washington, northern Idaho and parts of Montana became known as the Inland Empire. It is now known as a part of the Great Pacific Northwest. It’s home to me. Come discover a beautiful place to live and tales that could have happened here. I love to see how history becomes one big panorama of God’s great design for mankind. Stories abound, at least one per person and in different places. The stories I would like to tell were lived right here in the old Inland Empire. Tremendous power is on display at the Spokane River falls in the spring. The river was once known as one of the wildest in the west with spectacular falls. Over time, dams have tamed it somewhat, but the falls in the middle of the city are still powerful, especially with the spring runoff from snows. But, come summer, this river can also be slow and lazy. Possibly conducive to long walks along its bank and reminiscing about bygone days. 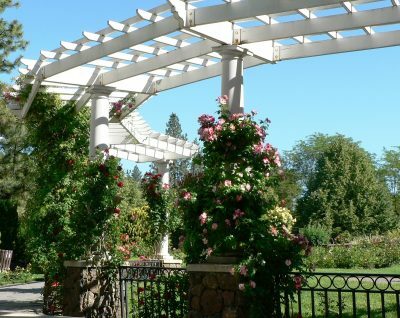 Or perhaps a stroll in the Rose Garden at the famous Manito Park on Spokane’s Southside. Spokan Falls or Plain Ole Spokane? Since childhood, it has been my aspiration to write novels set in my own hometown and surrounding area. I want to tell how Spokan Falls became Spokane, the hub of the Inland Empire. There was a huge debate about the name of this western town back in 1890. Some civic leaders thought Spokane would be easier to work with. But others liked the then current Spokan Falls. If an “e” was added at the end, it would be constantly mispronounced. After a century of living in Spokane, I wonder how many of us would have voted for Spokan Falls as a name? The Inland Empire extended into three states, and my ancestors came in early days. This will be my joy to depict. So settle back and let me entertain you with tales from one wild west town that grew as the last century melted into a new era. I wonder what this new era will bring to the Great Pacific Northwest?